Funeral : 2p.m. - Monday at Bowen's Creek United Baptist Church with Taylor Adams, Carl Brown and James Bowling, Jr. officiating. Mr. Elmer Barrett of Stinnett, Kentucky was born March 24, 1933 in Essie, Kentucky to the union of the late Chester & Chelsea Collett Barrett. 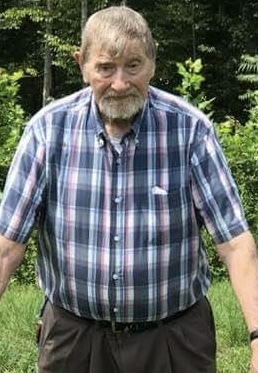 Elmer had been a life-long resident of Leslie County and by occupation, he was a retired logger, having worked over 40 years with Collett Logging. Elmer was of the Baptist faith and was a devoted member of the Bowen's Creek United Baptist Church at Essie, Kentucky. Elmer enjoyed whittling, walking through the mountains and gardening. His greatest joy came from spending time with his family and raising chickens and livestock. Elmer passed away Friday, April 12, 2019 at the Hazard Appalachian Regional Medical Center at the age of 86. In addition to his parents, Elmer was preceded in death by three children, Michael Barrett, Della Rose Barrett, and Vernon Barrett, four brothers, McKinnley Barrett, Paul Barrett, Wendall Barrett and Alger Barrett, three sisters, Hazel, Virgie, and Goldie, two cherished grandchildren, Britt Davidson and Jon Davidson. Elmer leaves behind, two sons, Donnie Wayne Barrett (Kim) of Roark, KY, and Robert James Barrett of Warbranch, KY, five daughters, Deanna Asher of Lexington, KY, Terri Smith (Vic) of Corbin, KY, Sheila Nolan (Clifford) of Warbranch, KY, Shelley Ryan (Rusty) of Green Back, TN, Paulette Barrett of Warbranch, KY, four brothers, Caleb Barrett of Essie, KY, James "J.S." Barrett (Ethel) of London, KY, Chester Barrett, Jr. (Bonnie) of Stinnett, KY, and Lynn Barrett (Wilma) of Stinnett, KY, special nieces, Chelsea, Bertha and Alison, grandchildren, Sharon, James, Jason, Elizabeth, Chasity, Charli, Jazzmaun, Brian, Brandon, David, Daryn, Dionne, Katy, Charleston, Stephen, Josh, Jessica, Brandon, Ryan, Hunter , Raya, Heather, Christy, and Kenston. A host of great grandchildren, nephews and nieces also survive.